Recognized as a key retail technology player, Extra through its retail technology subsidiary Extra Vision, was included in the roster of exhibitors for the upcoming Richmond Retail Business Forum 2017. The exclusive retail industry forum, which includes only the most important retail industry service providers in Italy, will be held in Gubbio from June 12-13 and will feature a conference with insightful speakers, several arranged meetings between delegates and exhibitors as well as an exhibition. Extra Vision will be joined by brands such as Epson, Burger King, Monnalisa, L'Oreal, Urban Fitness, Tally Weijl, Marina Rinaldi, Max Mara, Conte of Florence and many more. Extra Vision will be presenting the two most innovative and relevant software solutions for retail - Openbravo, the top Open Source ERP and NetSuite, the World's #1 Cloud ERP. NetSuite was chosen for its retail omnichannel-ready design which can help retail companies manage web, mobile, in-store and call centre services within one single platform. NetSuite features its own in-store POS, tackles e-commerce, CRM and marketing all unifying customer data in one database, fulfills order management, business intellifence, inventory and supplier management and gives you a comprehensive view of your financial activities - all of which are geared for the retail industry. NetSuite's strength lies in its multi-currency, multi-country and multi-language capabilities that makes it perfect for international retailers or retailers that wish to expand internationally and have to deal with multiple currencies and tax regimes. As the #1 Clould ERP, no other retail software or application can help retail companies get all the benefits of Cloud computing than NetSuite. Extra is a partner and Italian localizer of NetSuite. Extra developed the NetSuite Extended Italian Localization (NExIL) which is a SuiteApp that allows businesses using NetSuite to comply with the Italian legal and accountancy requirements through additional flexible functionalities. These include Italy-specialized tax reports, e-payments (SEPA Exchange Formats, export Ri.Ba. ), income-based system and frequent updates based on changes in Italian fiscal requirements. The choice of including Openbravo in Extra Vision's highlighted software in the event was easy. It's an ERP that was designed especially for the retail sector. It covers all the functionalities that any retail organization will need. Openbravo puts emphasis on an omnichannel retail model and allows physical stores to play a stronger role in an increasingly omnichannel retail environment. Since it's Open Source, it also carries with it the advantages of affordable customization. Getting a customized ERP is usually expensive especially if your solution is a proprietary software. Therefore, Openbravo, as the Open Source software of choice, gives retailers a strong alternative against many proprietary software. Extra Vision is a Gold Partner and is also a localizer of Openbravo, making the retail software more adaptable for the requirements of Italian market. Aside from the two solutions mentioned above, Extra Vision will also be representing the Extra Group, of which it is a part of. Extra Group has been at the forefront of the latest innovative technologies today with many applications for the retail sector. 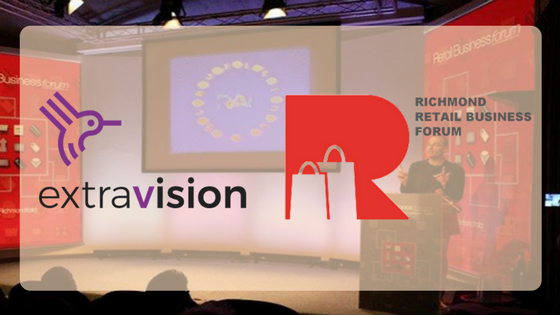 Some of the retail technologies Extra Vision will present include Business Intelligence which allows retail companies to analyze their customers and their business performance. From this solution, they can get many insights that could give them an advantage over their competitors. Another technology that Extra deals with is NFC tags and their use in the retail context. Extra has developed Tagmate which will allow retail establishments to have a 360-degree view of both customers in their physical and e-commerce channels by identifying customers through NFC tags. Recently, Extra has also been dealing with Augmented Reality (AR) to deliver more immersive customer experiences.